Deep in the rural wilderness of southern Romania lies Scorniceşti (pronounced Scornitshesht) and its meagre population of less than 12,000 inhabitants. Formerly a place of little descript, Scorniceşti gained infamy as the birthplace of communist dictator Nicolae Ceauşescu and his malign patronage brought seismic changes to the very fabric of the town. A push towards sporting excellence was high on the list of the the President of the Republic’s ambitions and brought about the establishment in 1972 of a new football club which came to be known as FC Olt Scorniceşti. The nefarious world of Romanian football in the 70s and 80s might render what the club did achieve as somewhat moot, but its life in the latter years of Romanian communism makes for a tale as fascinating and unusual as it was turbulent. During their heyday FC Olt enjoyed a meteoric rise towards the top of the Romanian game and at different times could boast players like Ilie Bărbulescu, Adrian Bumbescu, Ilie Dumitrescu, George Mihali, Dorinel Munteanu, Dan Petrescu, Victor Piţurcă and Ilie Balaci wearing its colours. Founded in 1972 under the name Viitorul Scorniceşti (translating as Future Scorniceşti), the club would undertake several name changes – as was the norm across communist Eastern Europe – before settling on FC Olt Scorniceşti in 1980. Promotions came rapidly and by 1978 the club had reached Divizia B, the second-tier in the Romanian pyramid. The step up to the top flight followed a season later in highly questionable circumstances. Needing to win its last game of the season by a huge margin to secure promotion, FC Olt duly delivered an 18-0 victory over Electrodul Slatina. The margin of victory was outlandish enough, but rumours persist that upon miscalculating the number of goals needed, controversial FC Olt president Dumitru Dragomir made both sets of players leave their post-match showers, re-take the field and play on until the requisite number of goals were scored. Scorniceşti thus became the only club among Romania’s big guns representing a small town rather than one of the country’s major cities, but the main source of wider contention was more the growing resentment felt towards the rural outsiders because of their influential patron. Back in the 1970s rural Scorniceşti’s population accounted for a mere 6,000 people. As part of an experimental national policy Ceauşescu wanted to convert it to into a ‘model town’, so during the early 1980s it became one of the first places in Romania to be completely razed and rebuilt into an agro-industrial centre. Traditional houses were demolished and the population displaced or crammed into the medium-rise apartment blocks built to represent the new national order. Much of rural Romania suffered a similar outrage imagined by the Conducator to bring the country into its ‘golden age of agriculture and industry’. The future national coach stayed for four seasons in Scorniceşti before moving to Steaua Bucharest where he won everything there was to win, including the European Cup in 1986. Others like Ilie Bărbulescu, Ilie Dumitrescu and Adrian Bumbescu would follow a similar path. Brilliant full back Dan Petrescu would later play on loan at FC Olt for a season before later finding fame and fortune in Serie A and the Premier League. Just as happened the year before, the 1979-80 season ended with another match-fixing incident although curiously FC Olt were not the beneficiaries this time. Aurel Mincu again takes up the story: “On the last day we played ASA Târgu Mureş who were in direct competition with CS Târgovişte to avoid relegation. Two army colonels came to see us before the game and offered money if we let the local team win. They told us they would beat us even if we did not take the money, so better for us to accept anyway. Târgovişte offered us money too but we chose to accept the colonels’ proposal as the likelihood of it being paid was considered more safe. In the post-reconstruction Romania devised by Ceauşescu, Scorniceşti now ressembled any other planned town – with one very marked difference: its stadium. By now well-established in the top half of the table since ascension to Divizia A, in 1985 the club decided to build a monumental arena to play in. The Viitorul Stadium would have the unusual distinction of being able to accommodate 25,000 people in a village with only 6,000 inhabitants. When inaugurated in 1988 it was the first stadium in Romania to be equipped with plastic seating and a semi-covered main stand. The pitch even had its own state-of-the-art drainage system. On the rare occasions that Ceauşescu tangibly involved himself with the fortunes of the club, no real benefit was derived. It was said that after the successive promotions of 1977 and 1978, Nicolae did not want a third promotion in three years for superstitious reasons as the other two had coincided with the death of a family member. Ceauşescu was not in fact a big fan of football at all and he followed it only from a reluctant and somewhat disdainful distance. Only the prestige of the country and the new Romanian ‘Communist Man’ really mattered to him, but football had its role to play – hence an interest in the results of the national team and Steaua, a club led by his son Valentin. Today the club is mired in the regional fourth tier of Romanian football and its team of youngsters struggle on to general local indifference. Far from the elite, far from Europe and with little reason for optimism for the future, FC Olt Scorniceşti remains a club whose storied, if challenging and compromised past, will never break free of its association with one of post-war Europe’s worst dictators and most despotic regimes. This is a guest article by Pierre-Julien Pera, aficionado of French and eastern european football and regular attender at his kids games. 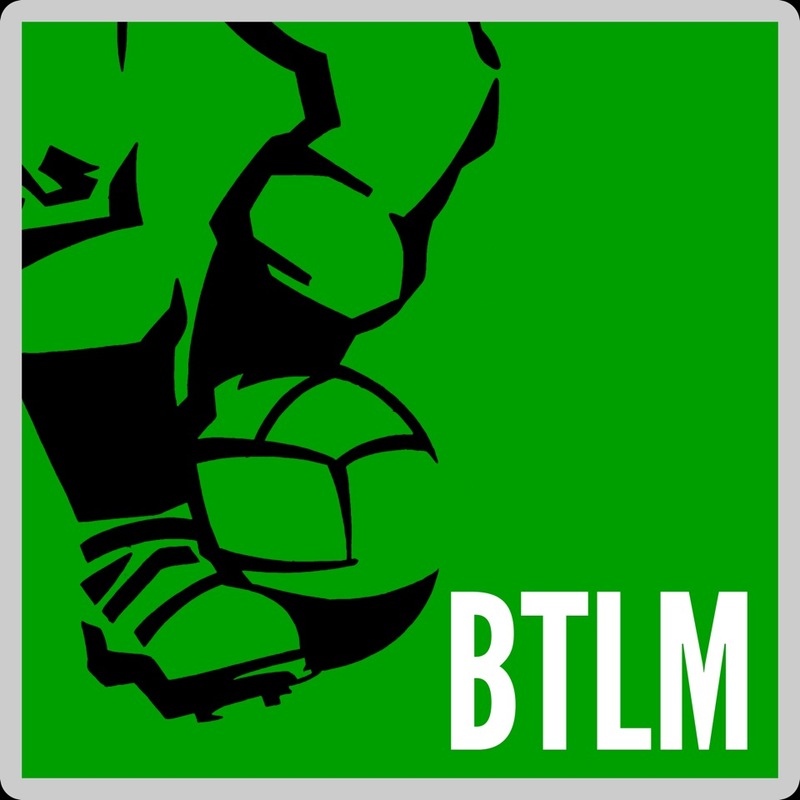 Pierre-Julien is the editor of the late http://parlonsfoot.com and the very much living http://Footballski.fr and like all of us at BTLM, he’s nostalgic for 1980’s European club competition.